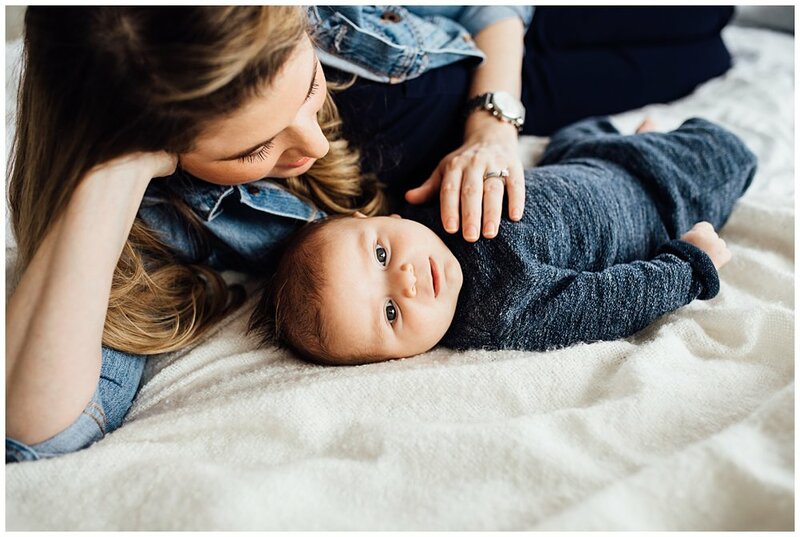 Alyson and her boys joined me in our gorgeous natural light studio in Woodstock for a fun Mommy + Me session on a chilly January morning. Alexander was so excited that he zoomed all over the studio with a tiny wooden airplane and entertained all of us with his silliness! Oh how I love the heart of Motherhood. 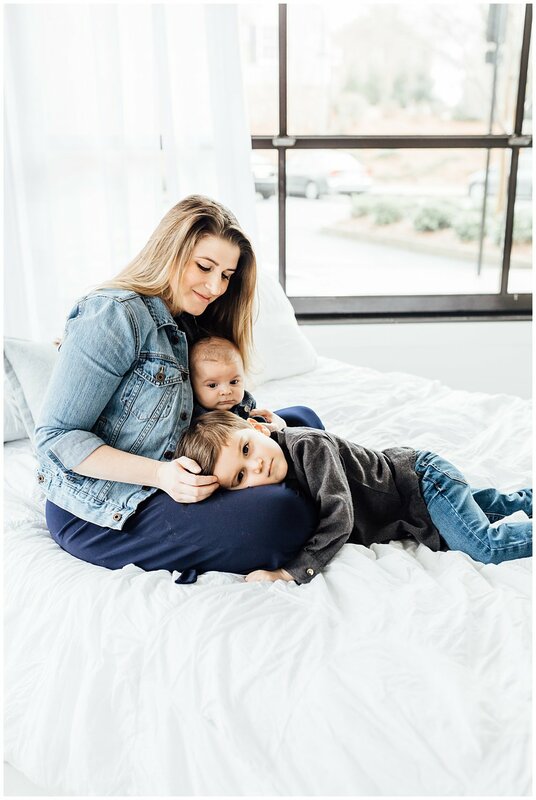 As a mom of two, Motherhood is near and dear to my heart. All the silly moments, all the tired moments, all the “teachable moments,” it’s all beautiful. These tiny moments, when the baby is crying and your toddler flushes something down the toilet that isn’t supposed to go in the toilet (yep, been there…) and you are trying to come up with one more way to cook chicken for dinner… Those days are precious. So tiring but so beautiful. Those days when you feel like you are running around in 100 different directions yet you seem to not get anything done. You’re giving everything your all- Your job, your marriage, your children… Take some time to rest and recharge. Mamas need it. The laundry can wait, the dishes can wait. Take some time to play with the little one that’s been nagging you to build Legos with him. Take time to sing and cuddle your baby. He’ll grow up someday, and it’s quicker than you think. Oh mamas. Enjoy these tiny moments. Beautiful mama-to-be Brittany is eagerly awaiting the arrival of a big, beautiful boy! 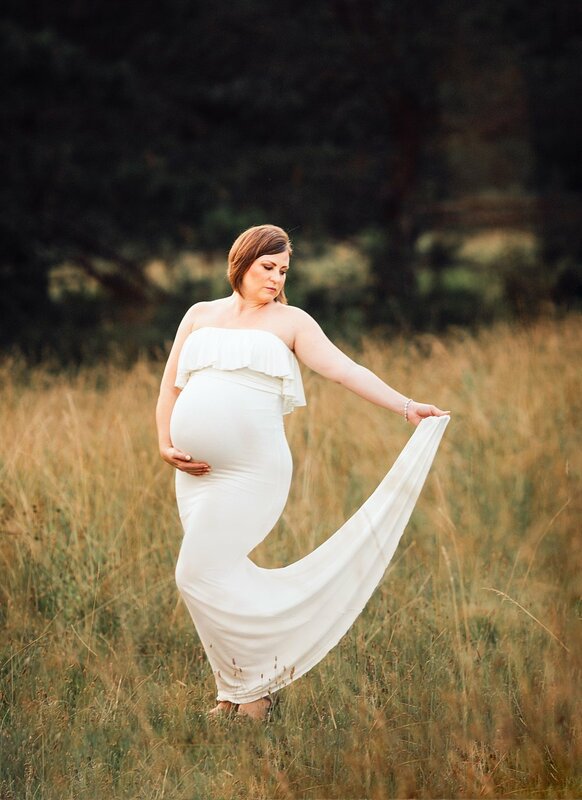 I love the "secret" location we found for her session- it was just the perfect mix of open fields, winding pathways, wildflowers and an old beautiful barn. 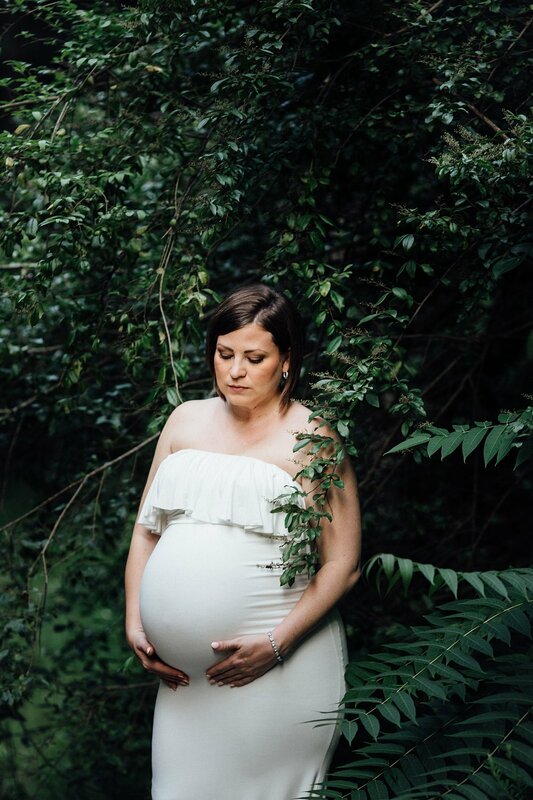 The perfect sun-drenched summer evening for her free-spirited maternity session.